Irritable bowel syndrome (IBS) can cause a range of different symptoms and can affect different people in very different ways. As a result, there are many different myths and misconceptions about the condition that are important to set straight. This myth is still believed by many people because for a long time, healthcare providers believed that IBS had a purely psychological cause, or that it was caused by stress. While stress is not the cause of IBS symptoms, stress can make symptoms worse for some people. This is because people with IBS have digestive tracts that are more sensitive than people without IBS, so stress can be a trigger for symptoms. Finding ways to manage stress is an important part of living with IBS. Some people mistakenly believe that IBS is an uncommon condition, or that it is a condition that only affects young women. Both are untrue. Researchers estimate that around one-quarter of women in the United States have IBS, so the condition is very common. While it is true that IBS affects women at a rate three times as high as men in the United States and other Western countries, many men are also affected by the condition, particularly in other parts of the world. IBS can also affect older people, with some studies estimating that up to 10% of older people may have IBS. Identifying and avoiding certain food triggers can indeed help many people to reduce their IBS symptoms, it is important to understand that the foods themselves are not causing the symptoms. During the process of digestion, hormones are released that cause the muscles and nerves in the bowels to overreact. Some people believe that IBS is the same as gluten sensitivity/allergy or lactose intolerance. Those food allergies and intolerances can cause symptoms that are similar to IBS symptoms. In fact, studies suggest that around one-quarter of people with IBS are also lactose intolerant. However, eating dairy or gluten is not the cause of IBS symptoms for the majority of people with IBS. There is no specific diet that will eliminate IBS symptoms, although avoiding certain food triggers can be helpful. A diet that helps for one person may not work for another person, however, and in many cases a diet that works for a person with IBS at one point in his or her life may not work down the road. Common misconceptions about IBS is that it only causes diarrhea, or only causes symptoms related to the digestive tract. Although IBS with a primary symptom of diarrhea is the most common form of the condition, many people have IBS with constipation as its primary symptom and still others have IBS with alternating diarrhea and constipation. Inflammatory bowel disease (IBD) is the name for a set of conditions with symptoms caused by chronic inflammation in the digestive tract. The most common types of IBD are called Crohn’s disease and ulcerative colitis. While these conditions can cause symptoms that are similar to the symptoms caused by IBS, such as diarrhea and abdominal cramping, IBS and IBD are very different conditions and one does not cause the other. The inflammation caused by IBD can cause permanent damage to the inner lining of the digestive tract over time. People with IBD may also require treatment with very powerful medicines or serious surgical procedures, while these treatments are usually not required for people with IBS. Unlike IBD, IBS is what is called a “functional disorder,” meaning that the digestive system is not functioning like it should, but the cause is not damage to the digestive system. 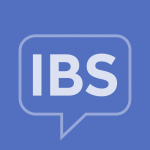 IBS is a condition that cannot yet be completely cured. However, the good news is that there are many treatment options available, and many people with IBS find that they are able to manage their symptoms with a combination of dietary and lifestyle changes, counseling, and over-the-counter or prescription medications.